AVA is the Designer of Record for the five replacement escalators responsible for the architectural, mechanical, electrical, plumbing and structural design. AVA is responsible for submittal review and all design services during Construction. This is a Design-Build contract that is currently in construction, is operational at two of the Pershing Square station entrances, and is scheduled to be completed in March 2017. The project was conceived to address the poor performance, availability and high maintenance requirements of the existing outdoor escalators at this busy station and to install APTA compliant transit escalator that requires an additional flat step – three in total at the top and bottom of each escalator. Clark Construction Group is the Prime, Otis is the escalator supplier, and AVA is the Designer of Record for the five replacement escalators responsible for the architectural, mechanical, electrical, plumbing and structural design. 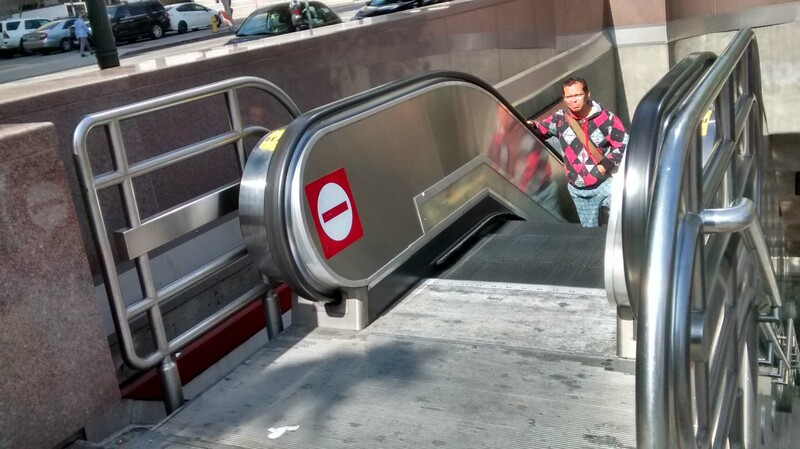 The challenge is to fit the escalators into the existing well ways. 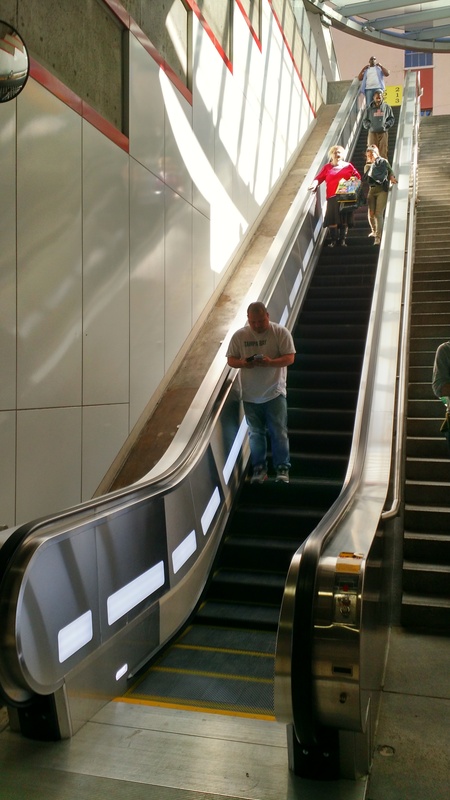 The new escalators have a longer horizontal footprint because of the additional flat step at the top and bottom that require modifications to the escalator pits and supports. 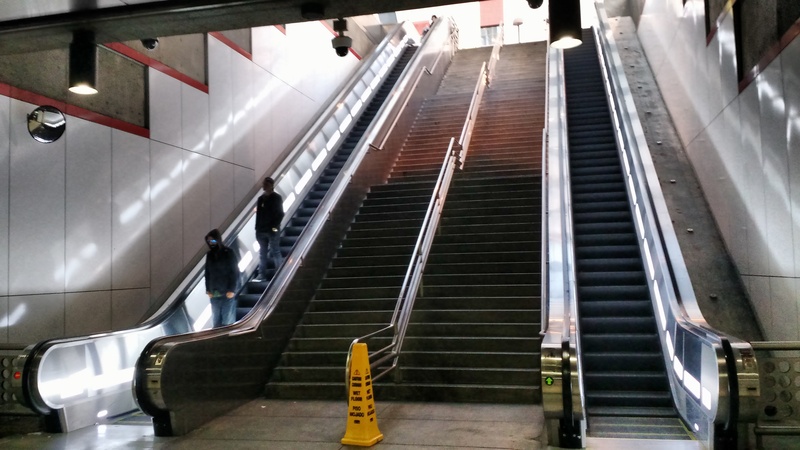 Metro specified that the escalator controls are moved from the lower pit to make room for the longer escalator and for ease of maintenance. New free–standing control cabinets are now installed the entrance area. AVA upgraded the pits, structural attachments at the top center and bottom, conduit runs, electrical circuits, lighting, plumbing and drainage, escalator cladding and finishes. The replacement escalators have variable speed drives with regenerative braking. AVA also designed the interfaces to the existing SCADA system and upgraded the analog CCTV system with digital. The work included the mechanical, plumbing, and electrical upgrades for the installation and design services during construction. Sustainability was a key element in this retrofit work and was included in the specifications for construction.